The Promax Nutty Butter Crisp bar features a 2:1 carbs to protein ratio ideal for energy and recovery from your active lifestyle. 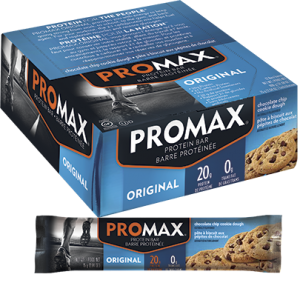 It provides carbs and protein to help; proactively protect muscle tissue and provide fuel before your activity, as well as replenish glycogen and help with tissue repair post-activity. 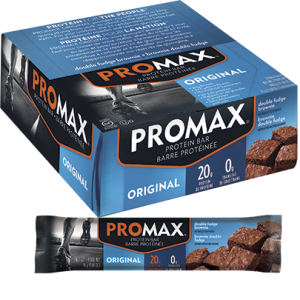 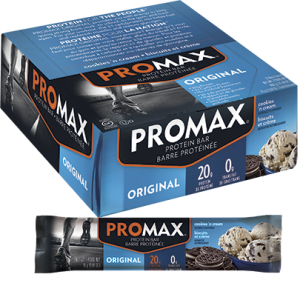 As a workout aid, meal replacement, or on-the-go snack, Promax protein bars are a great source of satisfying nutrition. 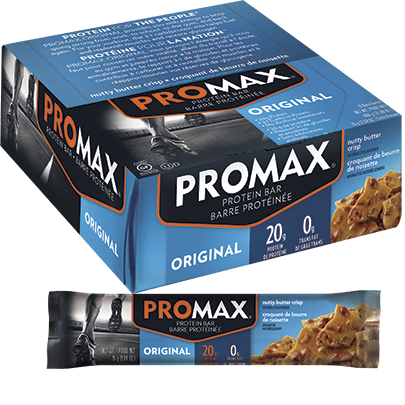 Promax® Protein Blend (Soy Protein Isolate, Whey Protein Concentrate, Calcium Caseinate), Glucose Syrup, Sugar, Fructose, Peanuts, Modified Palm Kernel Oil, Water, Cocoa, Rice Flour, Natural Flavour, Whey, Nonfat Milk, Tapioca Starch, Maltodextrin, Soy Lecithin, Casein, Rice Bran, Honey, Guar Gum, Salt, Calcium Carbonate. 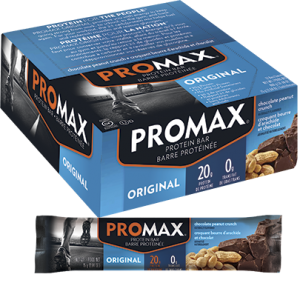 Ingrédients: Mélange de protéine Promax® (isolat de protéine de soya, concentré de protéine de petit-lait, caséinate de calcium), sirop de glucose, sucre, fructose, arachides, huile de palmiste modifiée, eau, cacao, farine de riz, arôme naturel, petit-lait, lait écrémé, fécule de manioc, maltodextrine, lécithine de soya, caséine, son de riz, miel, gomme de guar, sel, carbonate de calcium.